The Ukrainian Verkhovna Rada has supported Vasyl Hrytsak's nomination by President Petro Poroshenko as the candidate for Security Service (SBU) chief and appointed him to the office by 340 votes. 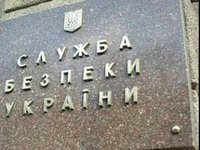 It was reported earlier that the Ukrainian parliament had granted Poroshenko's recommendation on June 18 on dismissing the previous SBU chief Valentyn Nalyvaichenko, who had headed the service since February 24, 2014 and previously in 2006-2010. The same day, the president introduced Hrytsak as acting chief to the SBU staff. Col. Gen. Vasyl Hrytsak, born in 1967, had headed the SBU Antiterrorist Center and served as SBU first deputy chief until recently. He has been a member of Ukrainian security agencies since 1990 and worked earlier at the SBU national statehood protection department. From May 24, 2005 to December 28, 2006, Hrytsak served as chief of the SBU department for the Kyiv region. On December 28, 2006, he was appointed head of the SBU's Kyiv city department. Starting April 11, 2008, Hrytsak served as chief of the SBU main department for Kyiv and the Kyiv region. On June 4, 2009, Hrytsak was appointed SBU deputy chief and head of the service's anti-corruption and organized crime directorate. On December 11, 2009, he was appointed SBU first deputy chief and head of the 'K' anti-corruption and organized crime directorate.